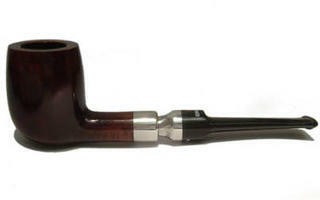 High quality real briar pipe, made in England to the highest standards of workmanship. 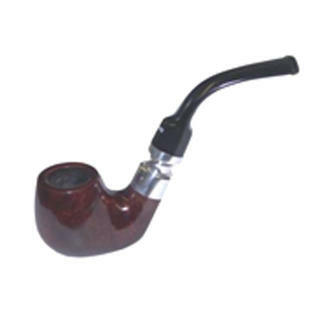 Excellent bent pipe with a tapered fitting military mount which incorporates a unique condensating filter which gives more room for the smoke to move around and cool down before entering the lucite stem. Measures 140mm long with an internal bowl diameter of 18mm and depth of 34mm. 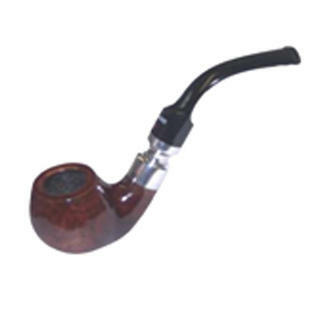 Excellent straight pipe with a tapered fitting military mount which incorporates a unique condensating filter which gives more room for the smoke to move around and cool down before entering the lucite stem.